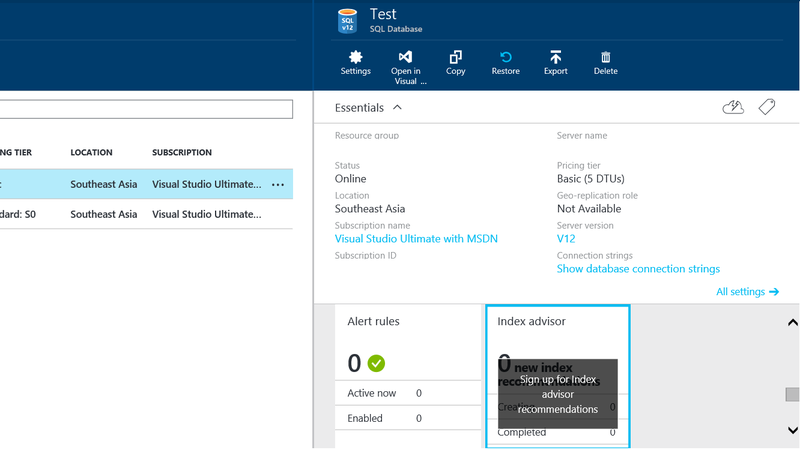 There is a new preview release of Index Advisor for SQL Azure V12 databases. It can analyze the historical performance data and can recommend on the best suited Index (non-clustered indexes only) to improve the query performance. Currently, it’s doable only from the new portal – https://portal.azure.com/. 1.Sign in to the Azure Portal. 2.Click BROWSE in the left menu. 3.Click SQL databases in the Browse blade. 4.On the SQL databases blade, click the database that you want to review recommended indexes for. 5.Click Index Advisor to open and view the available Index recommendations for the selected database.